This quilt has a simple four patch layout, with one background fabric of matching size squares. The four patches are set in rows alternating with the plain background fabric. I called the quilt “Where’s Teddy” because my inspiration fabric had little teddies on it. The teddies are peeking out in some of the four patches. 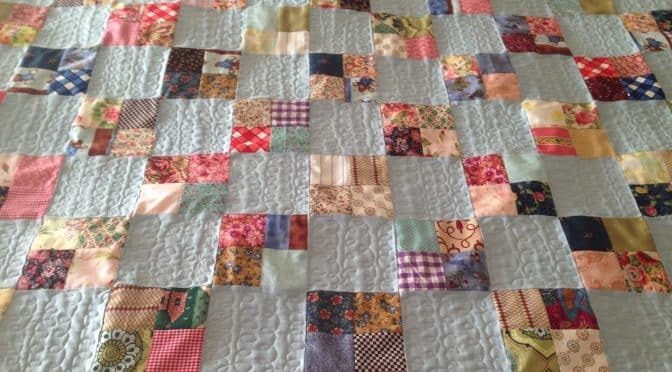 Its a great quilt to use up some scraps. (See previous post ” Obsession with Pre-Cuts/Make Your Own”). 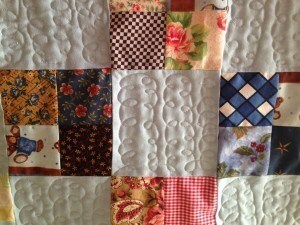 It uses only, four patches in an edge to edge design, without a border which makes a very simple but effective quilt. 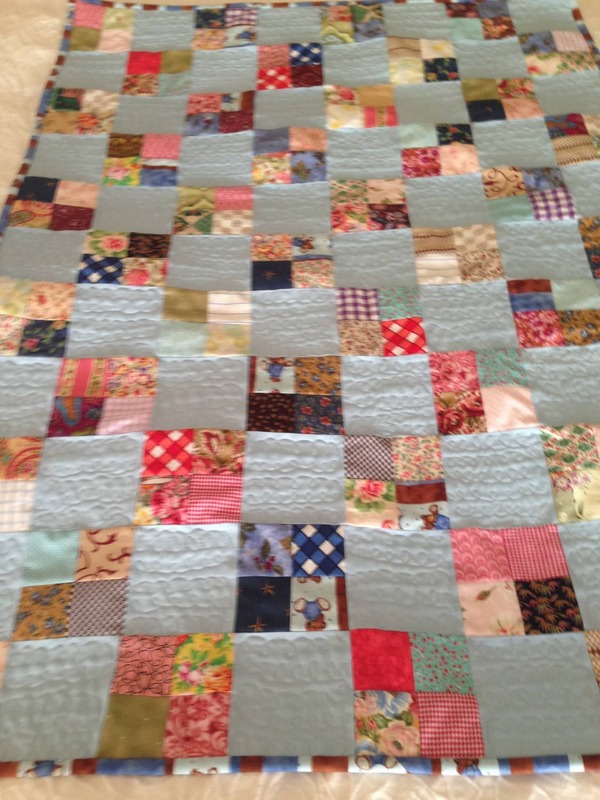 This quilt was made for a delightful 15 year old, visiting exchange student, to take back to Germany, for her new baby brother who she had (by chance) to help deliver! Funny, she did say she had thought of becoming a midwife. I quilted this quilt with loops in rows on the plain alternate blocks. 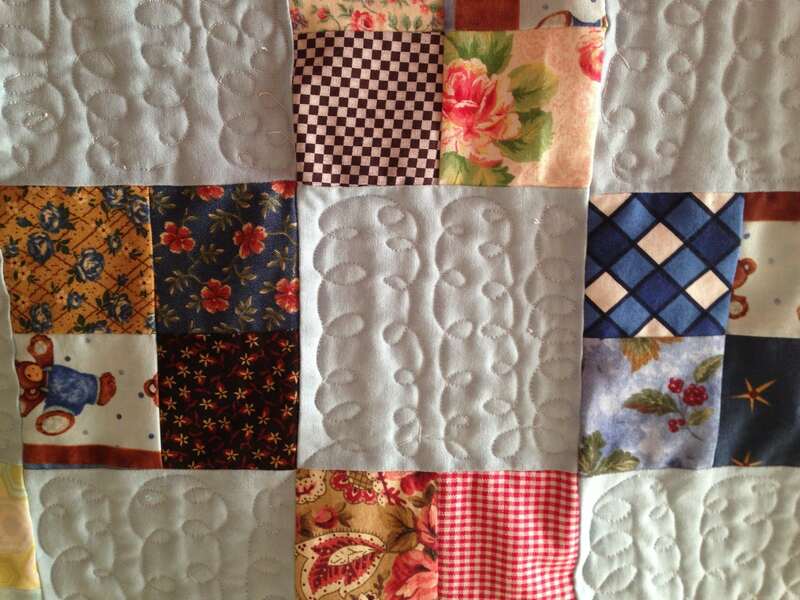 It was quilted on a domestic sewing machine. 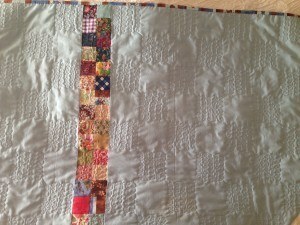 Free motion quilting only on the alternate blocks makes the four patches stand out. For the backing, I used the same fabric as for the alternate plain squares but added a row of four patches to the back of the quilt. This brings a little of the fabric from the front, to the back of the quilt, and gives it a coordinated look. it gives a lot of interest to the back as well. 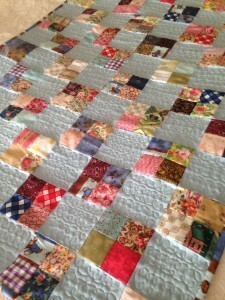 If you want to try some free motion quilting I would definately recommend trying it on a baby quilt like this. 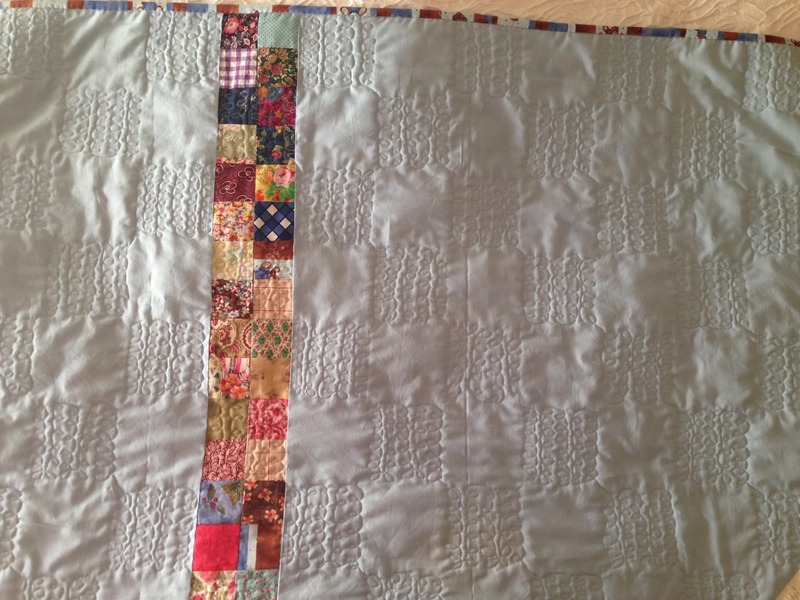 The alternate block quilting provides a relief pattern on the back. I used the teddy fabric to make the binding too.